When most of us think about the kindergarten curriculum, we think of reading readiness, number basics, and socialization. Few of us think about social studies: history, geography, economics, and civics. But today, more than ever before, it is important to begin introducing our children to these concepts early. Why is it more important now? While people around the world have always been interdependent, that interdependence was not as easily recognized by so many of us. Today we have 24-hour news cycles and access to people around the globe via the internet. Kindergarteners, of course, do not watch the news and chat with people on the internet, but this is the world they are growing up in, a world where an understanding of other cultures, and other people seems to be more critical than ever. 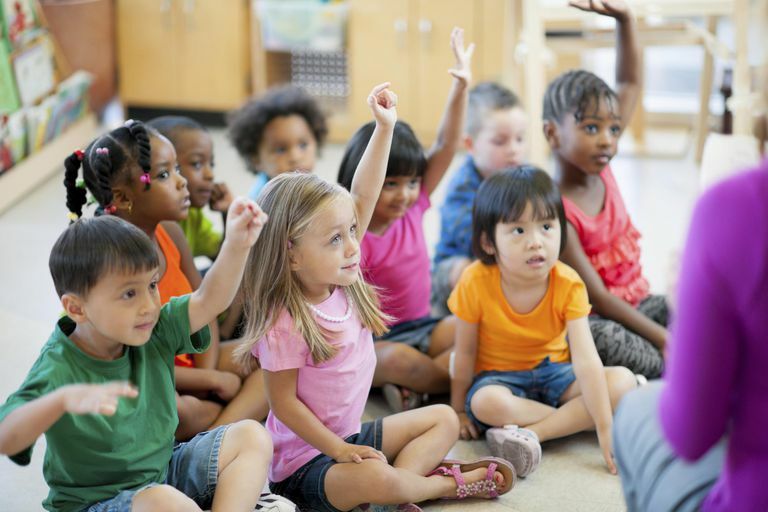 In addition to learning about other countries and cultures, children need to learn early about the ways in which countries and people are connected. This includes an understanding of history and economics. It's not that children will learn all about world history or even all about the history of their own country and certainly not that they will learn all about economic theory. However, they can begin to learn some basics. We can think of this learning as "social science readiness." One way for children to learn about the connection between the past and the present is for them to learn about their own family history. Where did their family come from? What is their cultural and ethnic heritage? That, of course, is also a way for children to see how connected we all are. Some children have ancestors who came to this country before it was a country, while others are first generation Americans, whose parents just arrived in America, or who came with their parents to America. But in learning about the past, they will also learn how people lived and what the major historical events are. Learning geography can help children learn about different cultures and learn about the vast and different resources of the globe. People depend on the resources of the part of the Earth in which they live. Their lives can also be determined by the kind of land formations where they live. Is it mountainous? Flat? Hot? Dry? Wet? How are people's dwellings suited to their environment? Those are just some of the questions that can be answered. Economics for kindergarteners? What? Just the basics. These terms might sound too confusing for such young children, but if you look at what they mean, it's not all that confusing. We trade with each other and with other countries for goods and services that we want. If there aren't a lot of those goods and not many people providing those services, they're scarce. If we have more than one thing we need or want and don't have enough money for all of it, we have to make choices. Scarcity: When all the goods and services we want are not available for everyone. Economic Choice: When someone has to choose between more than one use for a resource. Goods: Physical objects that are what people want. Services: Activities provided by others that people want. We don't usually hear about "civics" being taught anymore—but it should be. It's probably taught more in the early years than at any other time our kids are in school. These are the basics taught to the youngsters. More used to be taught when kids were in high school. America has always been a "melting pot," but it seems as though we have more and more immigrants coming in from more countries whose culture is quite different from ours. Previously, we had many immigrants from different Western European countries, countries with whom we shared a somewhat common history and worldview. With more people coming from other countries, it's more important than ever for our children to understand cultural differences. Learn about the many cultures that make up our society. Learn about the ways people in other cultures celebrate different holidays and why they celebrate them. Develop an understanding of how holidays and traditions are expressions of different cultures. Does Giftedness Really Exist or Is It Just a Social Construct? Why Do Children Get So Stressed With School?